Serums are applied morning and evening after cleansing your skin and are an essential step in your daily skincare routine. 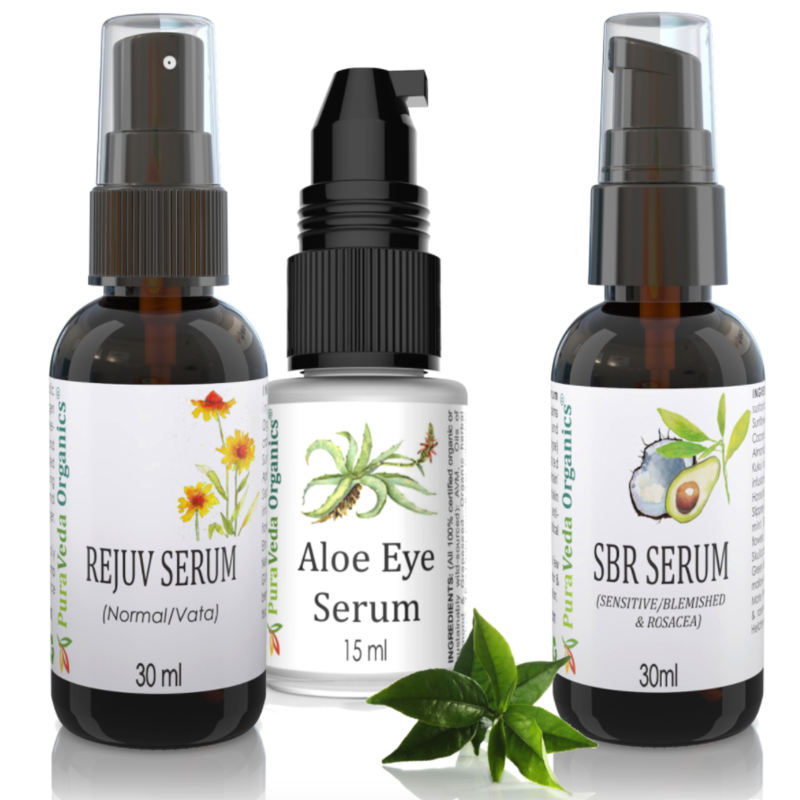 At PuraVeda Organics, we have several award-winning serums that will work to moisturize, even skin tone, prevent fine-lines and wrinkles and restore elasticity and tone to your precious skin. Skip the age-restoring surgeries and try a natural skin serum, or use our organic Ayurvedic serum for preventative care; it is never too early to care for your skin. Serums are made to tighten and brighten and ours do that using all-natural Ayurvedic ingredients that have been referred to as an “all-natural Botox.” We never add water to our serums; we use a synergistic blend of vitamin-infused essential oils and concentrated botanicals to penetrate deep into the skin’s pores and restore natural balance by accelerating skin cell production.